Modjeska Playhouse, a not-for-profit 501(c)(3) organization, began as an idea whose seed was planted in 1990 at Trabuco Hills High School (THHS) in Mission Viejo, California. It was a love for the theatre that brought Joe Alanes, Joshua Stecker and Christopher Sullivan together in the early 1990s as students at THHS. All three, after graduating THHS, went on to professional careers in the performing arts as actors, directors, writers and educators. In late 2007, after years of tossing around the idea of starting a theatre company, they decided that now was the time to put their dreams into action and the Modjeska Playhouse was born. It’s named after Helena Modjeska, a Shakespearian actress who also called the Saddleback Valley area home; and the Modjeska Peak, one of the two peaks that form the Saddleback Ridge. Modjeska Playhouse, its artists and supporters are committed to producing quality professional theatrical works in the Saddleback Valley. The three founding artists and its Board of Directors were either born in and/or raised and live in South Orange County and are very aware of the need for more cultural arts experiences and education in their local community. Christopher is an actor, improv/acting teacher, entrepreneur, and a Tall Ship Captain. He currently teaches improvisational theater and acting at South Coast Repertory Adult & Youth Conservatory in Costa Mesa. 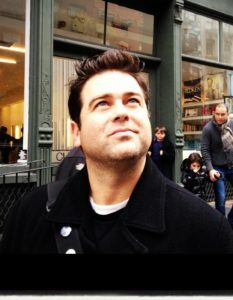 In the last 15 years, Christopher has performed in various theatrical forms including street performance, Clown Theatre, improvisational theatre, and traditional stage work. Some of his favorite roles include, Daisy in Baby With the Bathwater, Grumio in The Taming of the Shrew, Duddard in Rhinoceros, and George in The Actor’s Nightmare. He also wrote, directed, and performed his own one-man clown show, A Fool for You. Christopher made a brief foray into film with a very small role in Pirates of the Caribbean: Curse of the Black Pearl, which not only paid off his debt, but paid for a very expensive bicycle and a lift for his beloved Jeep (R.I.P. Molly). Working in film reaffirmed his love for live theatre. Christopher graduated from The American Academy of Dramatic Arts (Los Angeles) and South Coast Repertory’s Professional Conservatory. He studied clown at the San Francisco School of Circus Arts and improvisational theatre with Los Angeles TheaterSports. Joe is a director, actor and educator. He is currently the Theatre Arts teacher at Mater Dei High School in Santa Ana, and teaches improvisational theater and acting at South Coast Repertory Adult & Youth Conservatory in Costa Mesa. 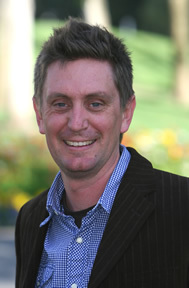 At South Coast Repertory, Joe is the director for the Junior Players, where he has directed shows including The Jungle Book, Riding the Wind: Story Plays from Old China, and A Connecticut Yankee in King Arthur’s Court. As an actor, he has appeared in several SCR Educational Touring Shows, including My Mom’s Dad, Badwater Blues, and Power Play, as well as in the SCR TYA Series inaugural production of The Emperor’s New Clothes, on SCR’s Argyros Stage. Prior to Mater Dei, Joe was the director and program coordinator for Kaiser Permanente Educational Theatre Programs (ETP), where theatre is used to explore many of the health issues that challenge the youth and adults of today. With ETP, he managed and directed the Drummin’ Up Peace program and the middle school program, Someone Like Me. Joe has toured the country with children’s theatre as an actor with Magic School Bus Live, as a stage manager and company manager for Wimzie’s House Live, and has appeared in several productions with companies from San Diego to New York City. As far as Shakespeare goes, Joe had the most fun playing Mercutio in Romeo and Juliet, where he got to be stabbed to death. Joe graduated from UCLA with a BA in Theatre. Joshua is an actor, writer, journalist, editor and entrepreneur. He is currently the publisher/editor-in-chief of San Pedro Today magazine and is a senior writer for the screenwriting magazine, Script. He was also a former editor for The Hollywood Reporter. 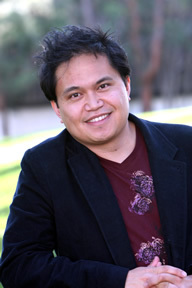 Born in Los Angeles, Joshua moved to Rancho Santa Margarita in 1987. After graduating from Trabuco Hills High School in 1992, Joshua worked as a waiter/actor in Los Angeles and New York City for too many years to count. Thinking his acting days were behind him, he moved back to Southern California to pursue a career in journalism in 2002. Joshua was the former Manager of Magazine Publications for the Press-Telegram in Long Beach and editor-in-chief of San Pedro Magazine, CLOUT Magazine, Seal Beach Magazine, Downey Magazine and Coastal Scene Magazine. After leaving the Press-Telegram, Joshua founded Empire22 Media, LLC, and is currently the publisher and editor-in-chief of San Pedro Today magazine. Joshua trained at the Beverly Hills Playhouse under the late Al Mancini and Milton Katselas, the Atlantic Theatre Company in New York City and the American Academy of Dramatic Arts (Los Angeles).